We have been offering OCI help from our Paddington Branch over the past 2 years to great success and have literally assisted hundreds of clients obtain their PAN cards instore. We provide a simple and fast solution to obtain your PAN Number. We charge £45 for our instore service that includes everything that is required for your Pan Card application including the Pan Card photo which is a very unique size and we will do this at express speed. Even if you are based internationally we can complete your Pan Card application – simply send us your documents by email that we request and we will handle the whole Pan card process including posting them to India on your behalf. We will monitor your application and deal with the office in India as well and this is all included in our fee. There are many services based in India targeting UK citizens – but we always recommend being very careful if you decide to use these services. We are an established UK business established since 2005 and we are based ion a physical location in Paddington. Sending sensitive documents abroad can be a nerve racking experience and our prices are priced very reasonably. After you have made a booking below, visit our store in Paddington and we will fill in all of your forms for you, while you wait. We will also take your pan card photo for you instore, print out all of your forms, and we will take care of the entire process for you. We will walk you through which documents are required for your PAN card application based upon your circumstances. Using Reload Internet in Paddington for your PAN Card Application will ensure that your Pan card application will not fail and we operate a guaranteed pass service. Ready to Book an Appointment for PAN Card application help at Reload Internet? Find availability with our Pan card Application help online booking system – No payment needed to make a booking. A PAN (Permanent Account Number) is now mandatory for all NRIs (non-resident Indian) that require to open a bank account in india, file a return, or even for those NRIs looking to to carry out a financial transaction in India. The quoting of a PAN is now compulsory. The process for obtaining a PAN can sometimes be confusing for NRIs based in the UK as your PAN Application has to provide certain documents while applying for a PAN, which are specific to your requirements and getting any of the questions wrong or failing to submit a document will result in a decline. The fees of obtaining a PAN card in the UK are roughly Rs 1000, which includes application fees and dispatch charges after the Indian High Commission has looked over your application and these fees may be paid through debit/credit card. Two Pan card Photographs will be pasted in the Pan card application form and this is also included in our £45 charge. The Indian Embassy have very strict definitions on the PAN card Photo and/or OCI visa application and they will not accept Photos taken from a UK passport Kiosk booth. You will require specialist PAN passport photos (hard copies and digitised) that meet the standards set by them – and we are equipped to provide these for you instore. PAN Passport photos specifications include the background colour, size of Indian passport photo, and EVEN the angle of the face as you look at the camera. A kiosk can not help with this, and we have seen many OCI and PAN applicants fail as a result of errors in applications or non-qualifying passport photos. Our service includes a complete no-fuss guaranteed pass Pan card service where a specially trained member of staff will be on hand to personally fill in your PAN application online (over the telephone or in store) select the right documents for upload, scan in your documents and resize them, digitise your signature and OCI photo that we take for you instore. Our clients have seen how effectively we have been able to do this and many people have travelled from all over the UK to visit our Paddington Branch. 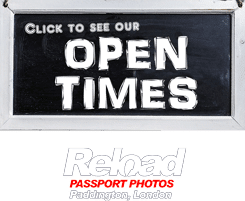 At Reload Internet we know the exact requirements for the Pan Card photo and best of all we have the equipment required to create a 3.5cm by 2.5cm photo, with a white background, while you wait. We charge £14.99 for four photos. If you do not want help with your Pan Card photo application, you can come in just for the photos with no appointment needed! Did you know Reload Internet can provide you OCI help and we have assisted many customers from all over the UK navigate through the somewhat complicated OCI Visa portal application forms from our convenient location in Paddington. Why not give us a call or book an appointment through us for your OCI application? If you just require OCI Visa Passport photos, we can click and print these instore whilst you wait and we charge £14.99 for Qty: 4 (hard copy) photos. Is Reload Internet Affiliated with the Indian Embassy or VFS Global in Paddington? What we do and some of our terms. Reload Internet is NOT affiliated with the PAN Indian Embassy or VFS Global in Paddington. We provide consultancy services and OCI application form filling help for the OCI, Pan card and Indian form filling process. We can not offer refunds as we are service based. We are always happy to make right anything that needs doing. We can not be held responsible for the distance travelled or travel expenses. By using our service, you agree to indemnify and hold harmless Reload Internet and its staff and no warranties are given. So book an appointment today for OCI application help.